The International Consumer Electronics Show (CES 2016) is happening this week in Las, Vegas. It's the world's gathering place for all who thrive on the business of consumer technologies. One of the exciting emerging product categories featured at this year's event is the Internet of Things (IoT). 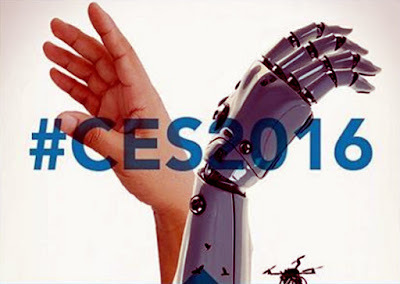 The key IoT segments that are likely to gain the most attention at CES 2016 is personal robotics and Unmanned Aerial Vehicles (UAVs) -- also known as drones. According to the latest worldwide market study by ABI Research, the consumer robotics market reached approximately 33 million unit shipments with total revenues of $3.5 billion during 2015. By 2025, both shipments and revenues are expected to increase dramatically. ABI Research has forecast that total shipments will increase to 165 million and total revenue could quadruple, reaching $17 billion. "In 2015, robotic toys accounted for more than half of the year's total shipments, but consumer UAVs is proving to be the fastest growing segment over the next decade,” says Phil Solis, research director at ABI Research. ABI analysts anticipate consumer UAVs -- including toy UAVs -- will surpass robotic toys in terms of shipment share in a few years, and then account for more than half of all consumer robotics product shipments by 2021. Additionally, throughout the ten-year forecast, the home-care segment will remain the most important source of new revenue generation. In 2020, consumer UAVs will surpass robotic toys to take second place. By 2025, personal robots will also surpass robotic toys to take third place in revenue generation among segments. "Right now, the personal robots coming to market are stationary, embodied products that can successfully interface with users and leverage information and services in the cloud," continues Solis. ABI believes that as these products advance in their technological capabilities and grow from stationary to mobile and add manipulation, average product prices will rise. So, although unit volumes will be relatively small in comparison to other market segments, the personal robotics segment will generate significant new revenue. The consumer robotics market, as a whole, covers a wide range of companies that lead in different segments. These include iRobot, Samsung, LG, Hasbro, WowWee, Parrot, DJI, 3D Robotics, Jibo, Blue Frog, and hundreds of other vendors.